Gas prices keep going up, and the money in our wallets keeps evaporating. 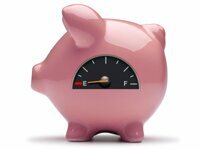 There are many ways you can save money on fuel and reduce your overall fuel consumption. Think it through and begin formulating new plans! Walk, bike, ride the bus or join a carpool. Reduce your commute by moving closer to work or working closer to home. Park in the first spot you find. If you wander all over the parking lot looking for that really close parking space, you'll use more gas. Don't be afraid to walk a ways if it comes to that. Apply for a credit card which offers gas savings when you use the card for purchases. You can also join a loyalty club. Some gas stations, department stores and grocery stores offer lower prices when you present their membership card. With the ever increasing gas prices, use the Internet to find the cheapest gas near you. Some of these sites even offer text messaging capabilities, where they will send you the a text message with the location of the cheapest gas in your area. Here are 3 sites that enable you to search for lower price in your town: MapQuest, GasBuddy.com and GasPriceWatch.com. If a gas station has just been filled, stay clear of it for a day or two. When the tanker dumps its gas, the sediment and old gas gets stirred up. Watch where you fill up. If you regularly buy along a given route, notice when the gas station gets refilled by the large tanker trucks. If you know that a station has just been filled, steer clear of it for a day or two. When the tanker dumps its thousands of gallons of gas into the containers below the station, the sediment and old gas get stirred up. This sediment and bad gas gets sucked into the cars that fill up first, and can cause a decrease in fuel efficiency, as well as wear and corrosion of the spark plugs in your vehicle. Don't fill until the last quarter tank. If you do this, it can extend your gas because you are hauling a lighter load as the tank nears empty. This also allows you to buy gas on low-cost days. However, in cold weather, you run an increased risk of condensation in the fuel tank. And you never know when you might be in an emergency and need some gasoline in your car! Don't top off the tank. It is wasted money and bad for the environment since the extra gas evaporates in 10 minutes of driving.